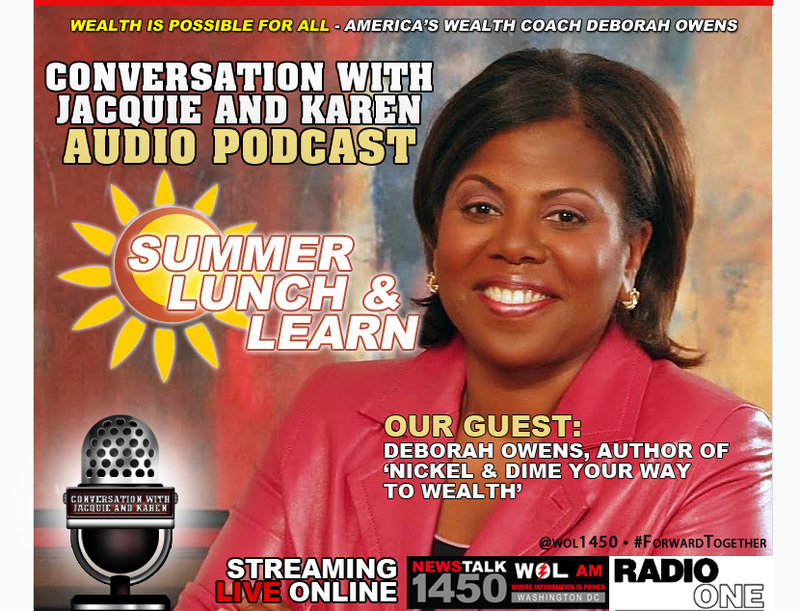 This week on the Conversation with Jacquie and Karen Audio Podcast: America’s Wealth Coach Deborah Owens, author of Nickel & Dime Your Way to Wealth discusses how to build wealth starting right where you are. Invest in where you shop. Credit unions vs Banks USAA military, Teachers Credit Union, Union Professionals etc. Use these 1st. College students need financial literacy before they go to college and ruin their credit history.